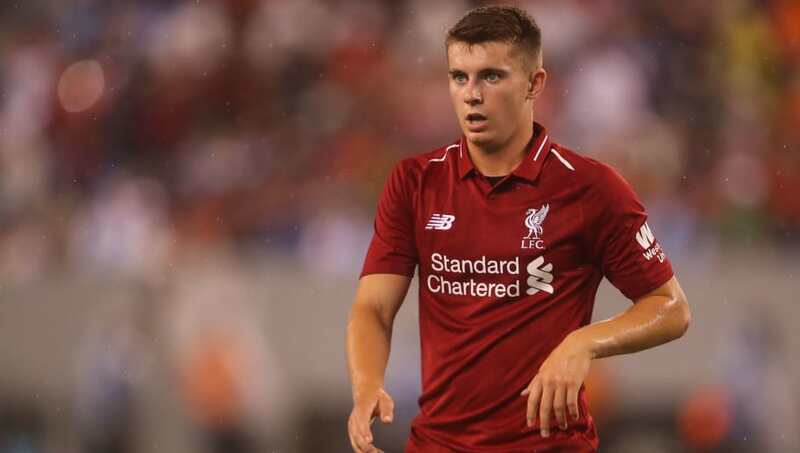 ​Liverpool youngster Ben Woodburn has been told in no uncertain terms by Sheffield United manager Chris Wilder that he will not receive special treatment because of his parent club. Woodburn, 19, sealed a season-long loan deal to the Blades during the summer as Jurgen Klopp sought to expose the starlet to regular first-team football - which was not readily available at Anfield this term. However, the Wales international was forced to feature for ​Liverpool's Under-23 side on Sunday to maintain his match fitness after being handed just 13 minutes of action at Bramall Lane since August. Wilder refused to apologise for consistently overlooking the midfielder as he acknowledged numerous players deserved to start ahead of the Liverpool starlet. “The team’s not doing too bad,” Wilder said, via the ​Mirror. “I think Mark Duffy, for one, would be disappointed if he’d played four or five games on the bounce and then got left out. “Ben’s not a special case at all. We’ve got seven or eight players in the same boat, who can’t get in the team, and he’s no different because he’s come from Liverpool. Furthermore, Wilder look to play down Woodburn's appearances for Liverpool's Under-23s against Derby over the weekend as the option to return to his parent club is part of his loan agreement. Wilder added: “Ben’s been away with the national squad and didn’t get any minutes there, so we felt it was important that he keeps playing football. Why did SU bother to take him on loan if they didnt plan to play him? Complete waste of time during vital part of his career. ​Sheffield United are currently joint first in the ​Championship equal on points with Middlesbrough, and after a falling to defeat to last time out they will hope to return to the winner's list against ​Stoke on Tuesday - where Woodburn is expected to be absent from the squad.